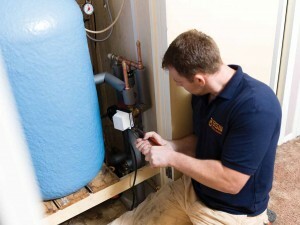 There is no doubt that these days a boiler plays a very major part in most people’s lives. As well as heating water and the house itself, a boiler now has to be efficient in the face of growing energy prices and at the same time minimise its environmental impact. For many homes both old and new the existing heating system is not up to the demands placed on modern boilers and so a new boiler installation is often called for. BSW are able to offer a wide range of new boilers for installation across Haywards Heath, the surrounding areas and thought out the South East. Although modern efficient boilers are common place across the UK there are many older houses with vastly outdated and poorly performing systems in place. If you have just bought a house without central heating in or around Haywards Heath then you are highly likely to be considering a boiler installation. The difference a new highly efficient boiler and central heating system will make will change the house forever. For people venturing into building a new house or developers who are building multiple houses the choice of new boilers to install is massive. BSW are able to work with both the private home owner and with commercial home builders. We are fully accredited and qualified to work to the strictest standards in both residential and commercial settings. Our many years of experience in boiler installation in Haywards Heath and further afield makes us the only choice when it comes to heating and Renewables. We have years of experience working with homeowners in and around Haywards Heath. This knowledge allows us to provide a service that is second to none in terms of the quality of the installation, skilled staff and how we treat our customers. Having a new boiler installed should not be a process that causes large amounts of disruption. We are able to work around you and make sure that your life is not effected for weeks on end. As well as years of experience in the private home market BSW have also worked for a long time with developers and landlords on a vast number of projects in the area. Whether you are looking at a large contract for boiler installation across a number of new homes or rental properties we have the experience and capability to complete the job on time and to the highest industry standards. Our technicians are Gas Safe and Hetas registered and we are approved suppliers and fitters for major brands like Worcester-Bosch and Glow Worm as well as many others. If you are looking for a new boiler installation in Haywards Heath then get in touch with us today by filling out the form below or speak to our friendly team on 01444 831138 about how we can help.